GPS users take note: the parking lot of UNS50 is located between Oxfordlaan and Verheylaan. Set this as your final destination. Click here to plan your route with Google Maps.Once you have parked your car, enter the Maastricht University building over the walking bridge. The doorman can direct you to the Maastricht Instruments business office in room G0.246. The development offices of Maastricht Instruments are located within walking distance (less than 500m) from Maastricht Randwyck Station. There are four trains per hour from Maastricht Central Station to Maastricht Randwyck (travel time: 3 minutes). 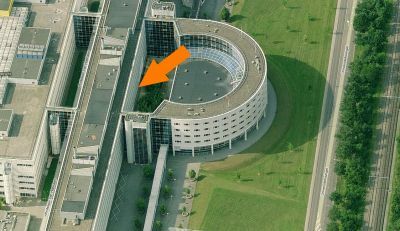 Take the pedestrian bridge from UNS40 to UNS50, Maastricht Instruments is located on the ground floor, zone G0. When you enter the Maastricht University building, the doorman can direct you to the Maastricht Instruments business office in room G0.246.